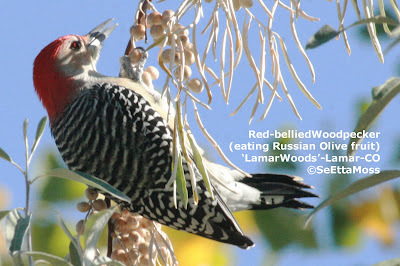 This is the same male Red-bellied Woodpecker posted below that was picking 'olive' fruit from the Russian Olive tree. 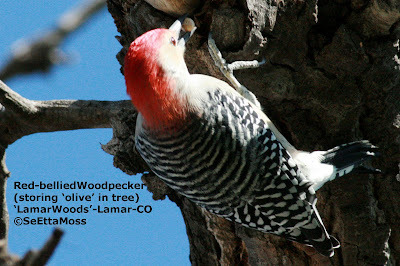 Here he is storing that fruit in a natural crevice under the small tree limb where the collar of the limb is separated from it. 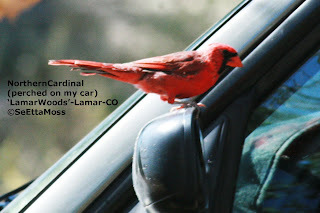 I had parked my car only about 20 feet from the edge of the 'Lamar Woods' and clearly close enough for this territorial male to perch on it in order to look for that foe he has to fight off (actually his reflection in the side mirror or car windows). 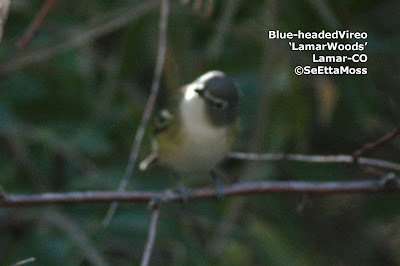 I was told by local birder Jill White Smith that he has a habit of checking out car windows and mirrors for the interloper that he sees. 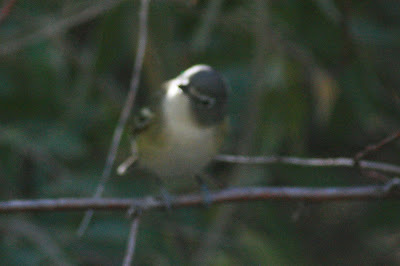 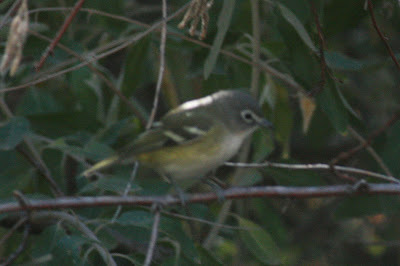 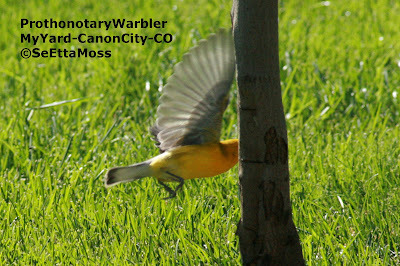 This is another Lamar specialty species that is resident in this far eastern city in Colorado. 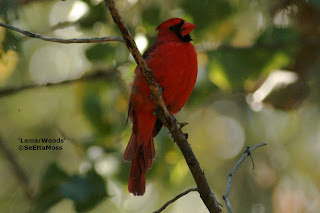 Actually there are apparently two families of Northern Cardinals that frequent the 'Lamar Woods' area as local birder Jill White Smith keeps track of them. 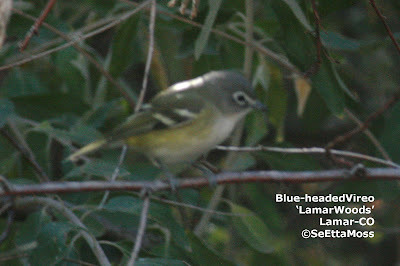 I most often saw this male either distant as in the middle pic or through dense vegetation where he skulked just barely in sight. 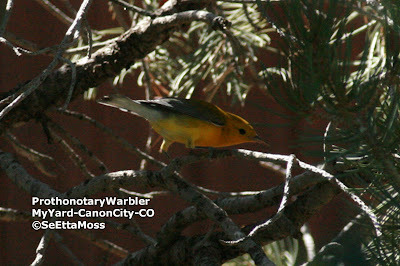 Prothonotary Warbler in my yard in Canon City, CO!